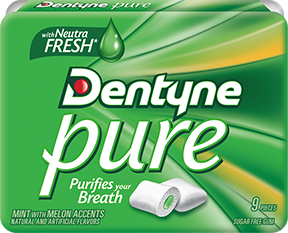 Be prepared—anytime, anywhere—with great-tasting, Dentyne gum. Discover your new favorite flavors now. 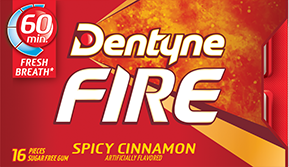 Feelin' spicy? Turn up the heat with strong, hot cinnamon. Before introducing yourself, get intense freshness from a bold, icy flavor. Stay on top of your game with a flavor that's classic and timeless. Show your true colors with a laid-back minty taste. Be prepared for anything with a refreshing cool flavor. 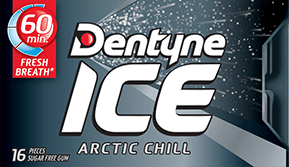 Get intense freshness from a bold, icy flavor. 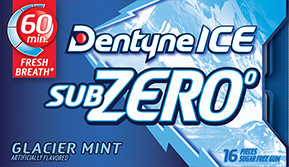 Cool, refreshing flavor anytime, anywhere. 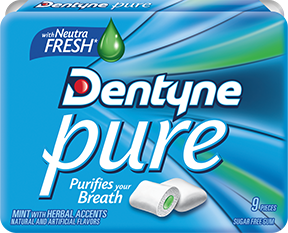 Purify your breath with cool, fruity refreshment. © Mondelēz International and/or its affiliate(s).